Reliant Man: Are You There? 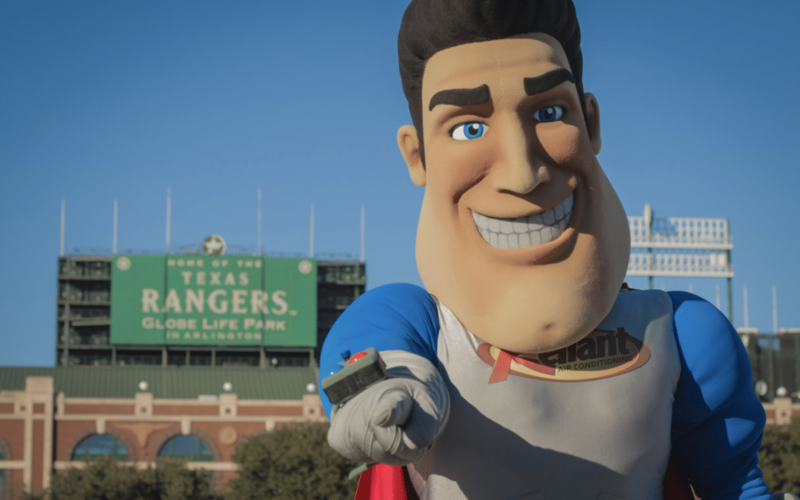 Reliant Man is not the best receptionist on staff… BUT he is our best hero fighting against gimmicks and AC repair needs. At Reliant, we’re proud of our 30 years of service. Over the years, we’ve remained dedicated to providing the best heating and air conditioning services to the Dallas-Fort Worth area, including locations such as Weatherford, Rockwall, McKinney, Mansfield, and the surrounding areas. Reliant maintains an “A+” rating with the Better Business Bureau in both Dallas and Fort Worth, while also receiving several other prestigious awards including the Angie’s List Super Service Award and the Carrier President’s Award. We provided professional air conditioning and heating repair services along with providing quality energy saving products for customers who need new systems. We have been serving the Dallas Ft. Worth area for the past 20 years and have installed over 30,000 systems and serviced over 50,000 homes. We take our jobs seriously around here at Reliant Air Conditioning. We’re the company for air conditioning service, heating and air conditioning replacement, and HVAC repair time and time again because we’re dependable, we’re fair, and we don’t partake in misleading gimmicks. So call two other companies, then give us a call. You’ll be glad you did.